Venmo is a digital wallet, widely used to make and share payments between friends and acquaintances. As a mobile phone and web app it provides a frictionless way for people to pay each other, and allows its users to avoid using cash altogether. When making or requesting a payment on Venmo, you must select a recipient, add a dollar amount, choose a viewing status (public, friends, or private), and write a note to the recipient before you can complete the transaction. As an avid user of Venmo, I often find myself making the same payments to the same people. Often I use Venmo for reoccurring expenses, such as rent, utilities, and food. Unfortunately, Venmo’s current payment process does not utilize the information from any of my previous payments. As a result, each time I attempt to make a reoccurring payment, such as paying my math tutor weekly, I am required to set its dollar amount, choose its viewing status, and attach a note, all tasks that could be automated by utilizing the information of a previous payment that is identical to the one I am currently making. Frustrated by this inefficiency in Venmo’s payment process, I was curious to see if this pain point was felt by others too. Specifically, I wanted to explore whether my friends also use Venmo for reoccurring expenses and if so devise a solution that would prevent me, my friends, and any other Venmo users from feeling this paint point. Each step in this process is a crucial driving force in achieving a user-centric solution. All aspects of this process guide me, helping to ensure that there is extensive thought and research put into the solution of the problem I am currently tackling. Approach: Define the problem and determine how it might be solved. Design: Make the chosen solution tangible through designs. Reflect: Consider the challenges I overcame and examine how my solution might be improved. To add greater context to my pain point and to better understand why and how other people use Venmo, I began my approach by formulating several questions. 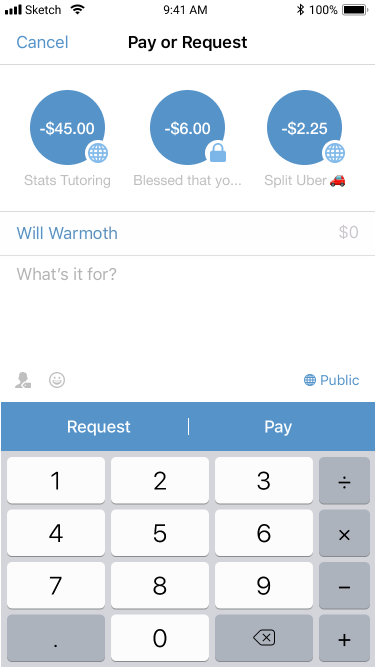 How often do you use Venmo to make payments? What kind payments do you use Venmo for? How frequently do you make a payment on Venmo that is identical, both in dollar amount and in recipient, to a past payment you have made on the application? User Interviews are a great way to gain insights and to validate assumptions with limited resources. Specifically, surveys are a quick and affordable way to obtain a thorough and clear understanding of the needs of users and the current problem they’re facing. Acutely aware that one must design based on facts not assumptions, I conducted an informal survey on twelve Venmo users to gain an understanding of the degree to which my pain point was felt by others. A few of the answers I received are provided below. “Once every two weeks” - Nina S.
“I usually either use Venmo to pay my roommate money for our house bills or to pay people for food and drinks” - James R.
“For rent every month” - Ryan L.
“Once every two weeks” - Felix C.
The survey results revealed that a majority of the participants use Venmo to pay off reoccurring expenses, especially household bills or restaurant bills. I also discovered that the reoccurring payments participants make are often fixed, meaning that each time they are made they are issued to the same recipient in the same dollar amount for the same reason. Research provides structure to the process of understanding a problem and how that problem might be solved. It is a necessary part of creating a user-focused product. Confident that my user interviews had validated my pain point, I began my research by gaining a better understanding of how Venmo’s payment process currently works. In order to solve the pain point I first had to be certain of the root of it. Closely analyzing and walking through Venmo’s current payment process several times, I composed a detailed description of what exactly it entails. Assert You Want to Pay Another User: To begin the payment process, users select the pay/request icon on right side of the top navigation bar. Select Recipient of Your Payment: Once the pay or request icon is clicked, users are then taken to the add recipients screen where they select whom they want to make their payment to. Specify Payment Amount: Once the user has selected their recipient, they are taken to the pay or request screen where they must specify how much money they are paying to the selected recipient. Give Context to Your Payment: Users then have to attach a note to their payment to give the recipient context. Choose Viewing Status: Users then have to select whether they want their payment to be visible to everyone, just the recipient, or just friends. The default viewing status is set to everyone making this an optional step in the payment process. Clarify You Want To Pay: Once the required information is filled out users select the pay button to clarify that they want to make a payment to the recipient, not a request. Confirm Payment: To confirm their payment and complete the transaction users must click the pay button again. After writing this description I became certain of what I had already assumed to be the root of my frustration with Venmo’s current payment process: previous payment’s information is being stored in the application but is unused for identical future payments. Additionally, using my description of Venmo’s current payment process, I was able to pin point exactly what steps in Venmo’s current payment process were fueling my paint point. I determined that the Specify Payment Amount, Give Context to Your Payment, and Clarify You Want To Pay steps could all be removed by using the information of payments that have previously been made to the same person in the same amount for the same reason. Now certain of which actions in Venmo’s payment process were unnecessary when making a payment identical to a previous payment, I continued my research by exploring the payment processes of other virtual wallet applications and evaluating whether the structure of their processes mitigated or solved my pain point. After downloading and navigating through the interface of Paypal, Google Wallet, Zelle, and Square Cash, I discovered that these widely used virtual wallets set up their users to feel my pain point too. 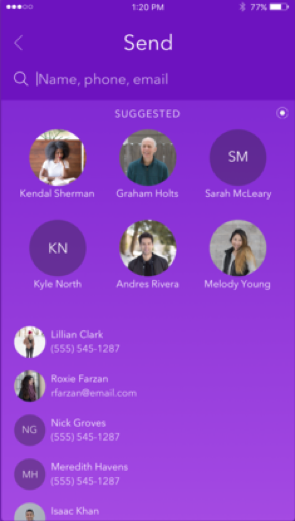 Zelle however has a feature that resonated with me. Based on who users have made past payments or requests to, in the beginning of their payment or request process, users are presented with a list of suggested recipients. In brainstorming possible solutions to my pain point, I composed a list of ideas that met my criteria. Make a Repeated Payments List: Add a screen into the application where users can store a list of their frequent payments for repeated use. Each payment on the list would include a recipient, dollar amount, viewing status, and note. Therefore, when making a reoccurring payment users, would be able to access their list, click on their desired payment, and confirm their payment to complete the transaction. Display Users' Frequent Payments: After clicking on the pay or request icon, users would be presented with the five most frequent payments that they make. Each of the five payments would display its recipient, dollar amount, viewing status, and note. By clicking on one of these five payments users would avoid filling in information and then only have to confirm their payment to complete the transaction. Display Previous Payments Made to Recipient: After clicking the pay or request icon and choosing a recipient for their payment, users are able to view up to three of their recent payments to that recipient. Instead of manually adding their payment’s dollar amount, note, and viewing status, users would click on one of their past payments, confirm that payment, and their transaction would be complete. After much thought I decided to build out the Display Previous Payments Made To Recipient feature, Previous Payments feature for short. Unlike the Make a Repeated Payments List feature, the Previous Payments feature would not require a new screen, rather it could be integrated into an existing screen in Venmo’s current payment process. Additionally, unlike the Display Users’ Frequent Payments feature, the Previous Payments feature would allow users to effortlessly utilize the information from a previous payment even if that previous payment was not a frequent payment. Putting pencil to paper and creating quick and rough sketches allows me to focus on honing the idea itself, rather than worrying about the design and aesthetics of it. Thus with a solution in mind, I began to sketch out what it would would look like as a feature in Venmo. In visualizing how the Previous Payments feature would function and be displayed to users, I ensured that its incorporation into Venmo’s current payment process would not negatively affect users who were making a payment they had never made before (i.e making a payment not applicable to the Previous Payments feature). The flow of Venmo’s payment process with the Previous Payments feature integrated is detailed below. As shown above, the Previous Payments feature would allow users who are making payments that they have made previously to avoid unnecessary steps. In using this feature users would avoid typing in a dollar amount, creating a note, confirming the viewing status, and clicking the pay button to clarify that they are making a payment. As a result, the Previous Payments feature would decrease the time and effort that would be required of users who are making a payment to a recipient that is identical to one that they have made in the past. 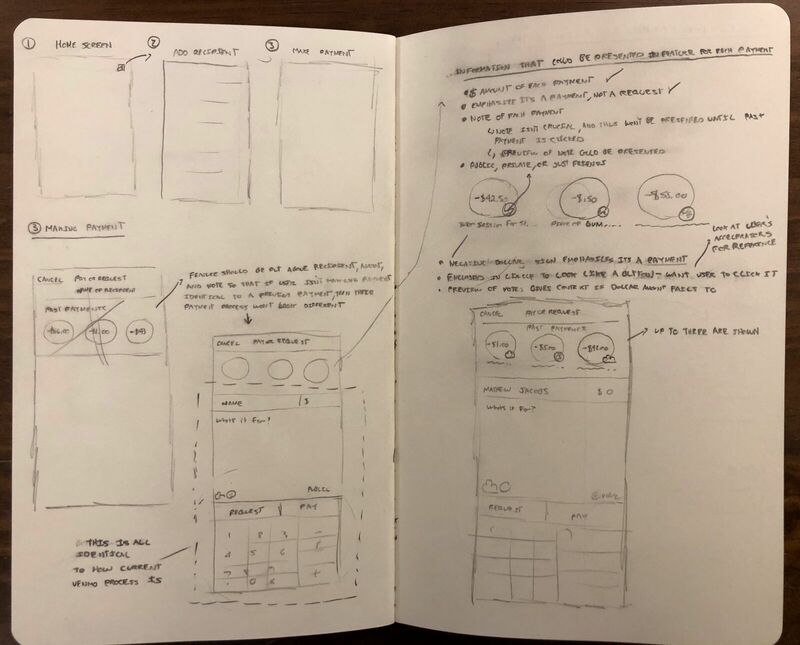 Wireframing is the refinement of the ideas formed during sketches, and presents the design solution in greater detail. It allows me to focus on the structure of the design without worrying about color, font choices, or any other aesthetic related design elements. So using my sketches, I brought my solution to life. 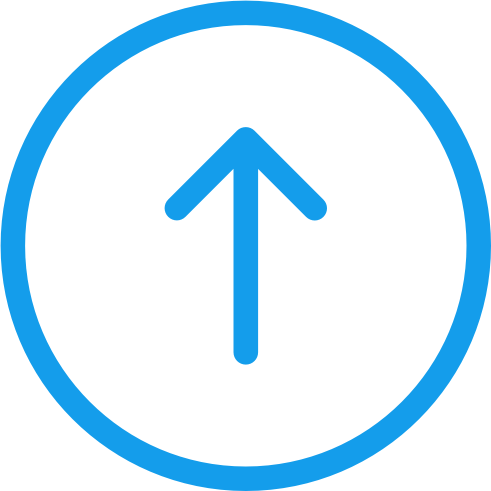 Located below the top navigation bar, the Previous Payments feature presents users with up to three past payments that they have made to the recipient they currently have selected. Displaying reoccurring payments is prioritized over displaying recent payments, thus the past payments that are displayed to users are ordered, from left to right, by the amount of times that they have been issued. Each past payment displays its dollar amount, viewing status, and its note. Note: All elements except those contained between the two divider lines located on the upper section of the screen have been designed by Venmo and are used in their current payment process. Happy with the flow and functionality of the Previous Payments feature, I fleshed out my design to be consumer-face ready. Throughout the design process, I ensured that my decisions did not cause the Previous Payments feature to deviate from my solution criteria.  Easily accessible by users: The feature is presented on the pay or request screen, and thus appears naturally in the payment process. Presented to users at a logical point in the payment process: The feature is presented immediately after users select a recipient, the step in the payment process where users must begin filling in the required information (i.e the dollar amount, note, etc). Does not impede existing payment or request process: No information or features have been removed from the pay or request screen to integrate the Previous Payments Feature. Therefore, if users do not want to use the Previous Payments feature, they can proceed with the regular pay or request process. Below is a video comparing the time it takes to make a payment using Venmo’s current payment process (left) and to make a payment using Venmo’s payment process with the Previous Payments feature added (right). The pay or request screen directly follows the add recipients screen, and thus is the step in the payment process where users must flesh out the specifics of their payment. The large amount of whitespace on the screen allowed me to design around existing elements, rather than having to significantly alter their position or size to integrate the Previous Payments feature. Additionally, it was difficult figure out how to display the dollar amount, viewing status, and note of each previous payment without cluttering the screen. Designing how the note would be displayed was especially challenging because I had to find a balance between the amount of context it gave to users and the amount of space it filled on the screen. After mulling the issue over and sketching a few ideas on paper, I decided that if a note exceeds 15 characters it will be cut off and displayed as a preview to the full note. Throughout the design process, I thought about several edge cases. Although my prototype does not address how each edge case would be accounted for, I have thought through all of them extensively and would address them in a more extensive prototype. What if my payment exceeds four digits? What if I have two previous payments that are to the same recipient and in the same amount, but for different reasons? What if the note of a previous payment is multiple sentences? What if it is my first time issuing a payment to a recipient? What if I select a previous payment, but want to change its dollar amount or note? Completing this case study was daunting at first, but it was a tremendously valuable experience. 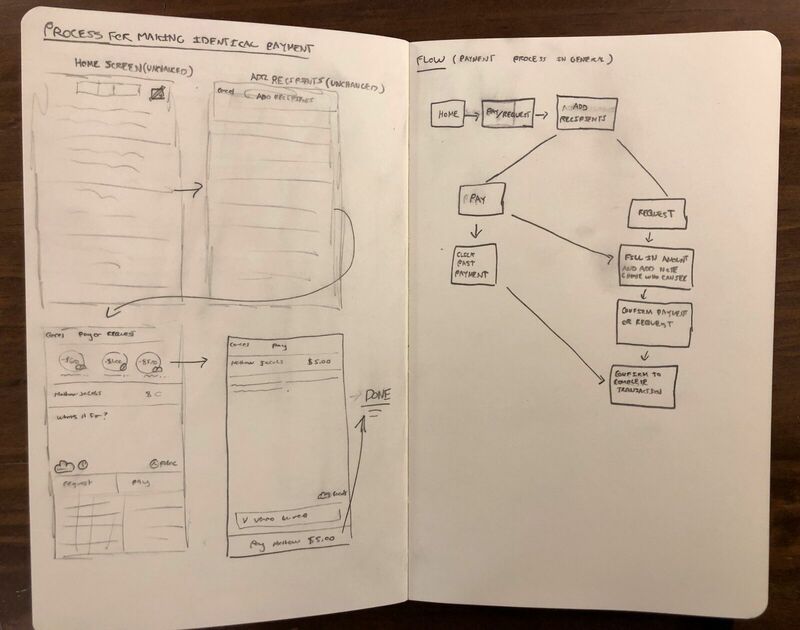 Closely analyzing a design issue and thinking through a solution for it was enjoyable, but even more fascinating to me was extensively researching what a case study entails and exploring how other designers tackle such an endeavor. If I was to take my idea further, I would conduct user testing on my prototype and use the feedback to iterate my designs. Additionally, instead of only showing previous payments users have issued, I think it could be valuable to show previous requests that users have issued too; of course I would have to conduct user interviews to determine whether it would be a feature addition that users would even want.